A team of Queensland animators are putting the final touches on a 3D animated children's series to launch to the global television and trade market in Cannes, France, this month. Queensland State Development Minister John Mickel said the 3D animation used a sophisticated technique usually reserved for feature films which would set it aside from other productions. 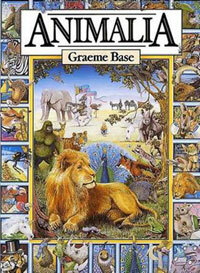 The series was based on the popular children's picture book Animalia by Melbourne author Graeme Base, which has sold more than three million copies since its release 20 years ago. Mr Mickel was at the Animalia TV series' Gold Coast base, Warner Roadshow Studios, today to announce a $200,000 grant to Gold Coast visual effects company Photon VFX which worked on the international project. "The innovative series is poised to set a new benchmark for television animation world-wide when broadcast in Australia and overseas from September 2007," Mr Mickel said.